So you want to quit your day job and become an internet millionaire? While it is not as easy as it sounds, it is possible. One of the fastest ways to success is through vlogging. Today, I am going to show you how to become a famous Vlogger with seven easy steps. It may seem easy, but this is what separates the successful from the non successful. You can read all the information you want about vlogging, but it really comes down to taking action. You may keep telling yourself that you will finally take action tomorrow, and then tomorrow never comes. You need to get up off the couch and do something. I recommend taking baby steps and not jumping overboard. So, the first day of your journey go ahead and create all your social media accounts. You will need these if you want to brand yourself and become popular. From here, you want to make a plan of action and follow through with these steps everyday. It does not matter how bad it is or how long it is. Just make a video and decide what you want to make videos on. You should have a specific niche that you want to create videos on that, this will allow you to develop a following. For instance, if you love fishing, then start making videos about fishing today. Your first video can be as simple as 10 reasons why you love fishing. The thing that separates the best from the worst in the industry is that the best will post regular content. Regular content is key and I cannot stress this enough. If you have regular content it will keep your viewers coming back to your channel and engaging with you. This is one of the easiest ways to get a following. Make it something special and do it everyday. For example, every Tuesday post a product review video vlog of the latest and greatest product in your niche. This will make viewers want to come back and watch your channel every week. You can not do this on your own. You are going to have to reach out and make connections if you want to make a name for yourself. Offer something in return if you have to, but keep it small. If your video gets shared by a popular name in your niche, you are golden. 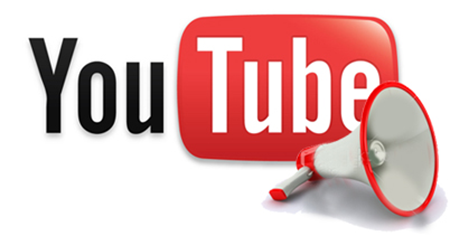 This will drive thousands of targeted viewers to your videos and channels. This may sound cheesy, but it works. Tell your viewers that when your channel hits 100,000 or whatever your goal is, that you will give something away. This will create a viral effect if done right and will make viewers share your video with friends so that you hit your goal. You are not going to become famous overnight. You need to accept this now. If you don’t, you are setting yourself up for failure. This stuff takes time, and whoever tells you it doesn’t is lying to you.